Hey, I was wondering whether i can take the stock stereo out of my vue and replace it with a different unit like an alpine? Does it matter whether i get the premium system in the car? Should be able to replace a stereo in any car, regardless of make or model. Some systems wont plug straight in though. 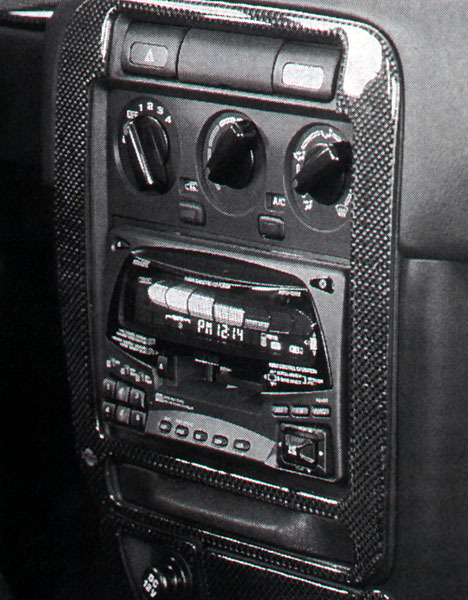 Also as it's a new car, you'll probably have to buy a facia that fits around the stereo to make it look as if it was supposed to be fitted to the car. It's not essencial, but it'll look alot nicer! If so you might be in luck. It looks like you can fit a double din unit in there just fine. But if you want a single din HU (Alpine currently only makes single DIN to my knowledge) you will need a double din to single din adapter for your car. Last edited by thunderbird1100 : 02-24-2006 at 06:38 PM.